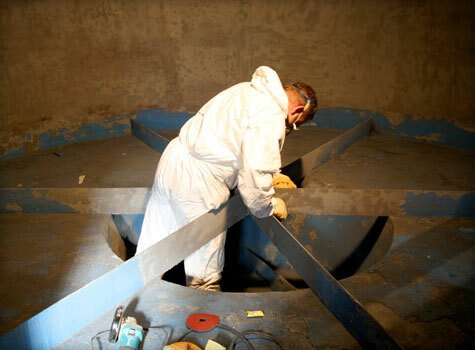 When you need to prepare any industrial surface, clean an architectural feature or restore a listed building, our surface preparation experts are ready to help you get it right. 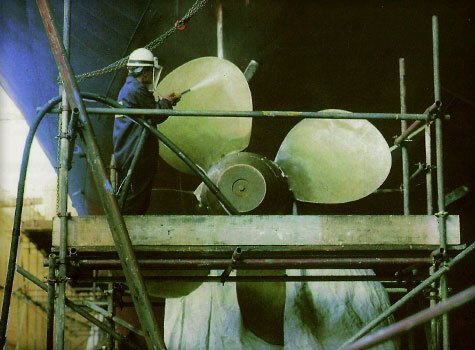 It's our speciality – which is why in 1996 we formed HydroPrep, a division of Sui Generis that specialises entirely in surface preparation and industrial cleaning – making our personnel some of the most experienced in the industry. Major construction industry contractors and blue chip companies rely on us to clean and prepare surfaces to the highest quality standards while enforcing stringent Health & Safety precautions. 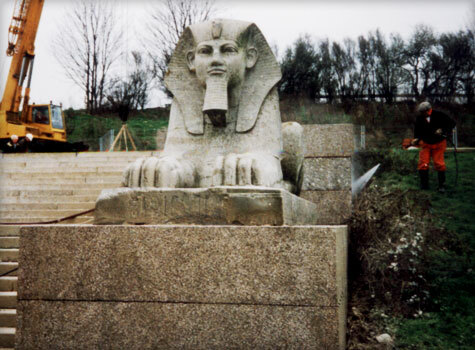 And our experience means we'll find the right way to clean and restore delicate architectural features, including wood, stone, brick and marble – as well as any industrial surface – without damaging the good material beneath. 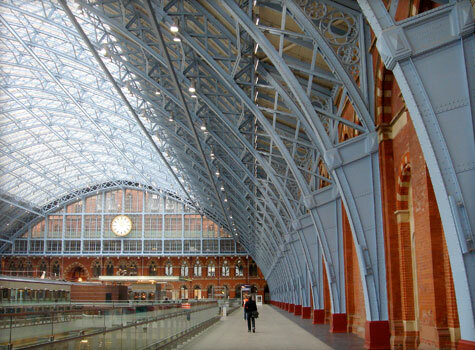 Whatever your surface, we can clean it or prepare it to your specifications. We do this using a variety of methods, including steam cleaning & pressure washing, ultra high pressure water jetting, blast cleaning and our own Liquabrade system. 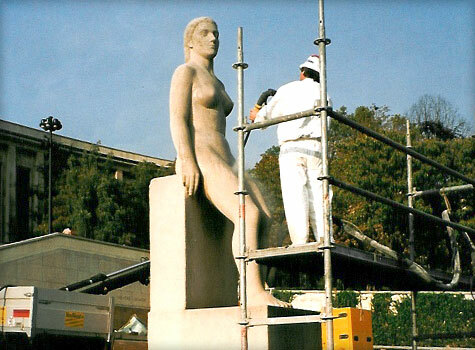 We can adjust these and other methods for graffiti or paint removal, the restoration of valuable statues or even to clean large steel structures. Our team will work thoroughly and efficiently to ensure minimum disruption to your facility or property so your surfaces are prepared or restored with minimum inconvenience. 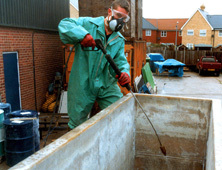 Call 01206 798 798 now to arrange your free, no-obligation survey by a HydroPrep surface preparation specialist. You'll soon see your surfaces in a whole new light. The foundation of our surface preparation arsenal, this is most useful for cleaning surfaces that don't require full preparation but just need a clean substrate over which a new coat can be applied. 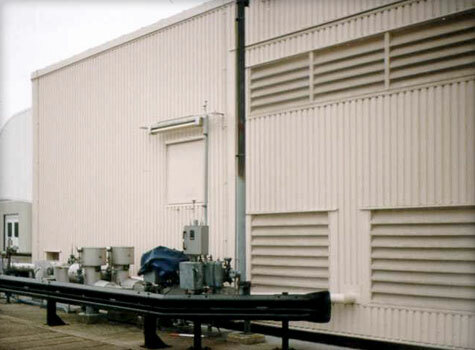 It's safe, hygienic and often used for degreasing surfaces and the removal of bird droppings. 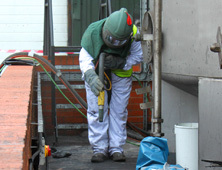 Blast cleaning is suitable for preparing most surface types, including steel, metal alloys, concrete and plastic substrates. 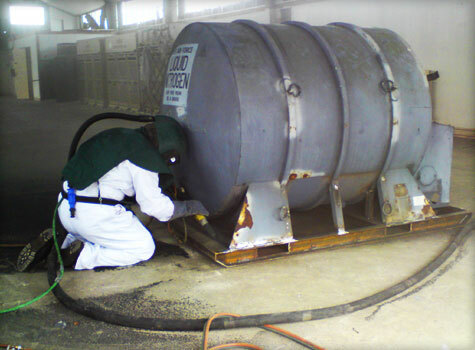 Whether for decontamination or preparation for a new coating, skilled operatives use the right equipment and blasting media to deliver a high quality prepared surface. 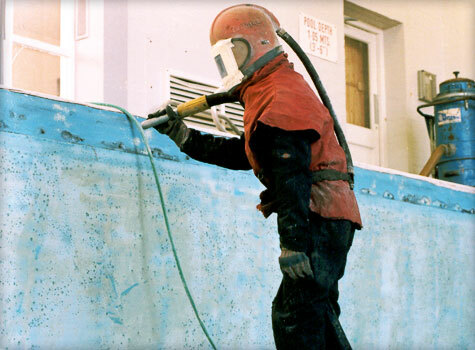 With this method, water is forced through a rotating jet at up to 42,000 psi – strong enough to cut through concrete and other tough surfaces. Very effective in tough environments, UHP water jetting achieves the complete removal of coatings – making it an excellent option for lead-based paint removal. It's also an accepted alternative to traditional dry preparation methods. This is a system specifically designed for cleaning metal, stone, wood and similar materials. 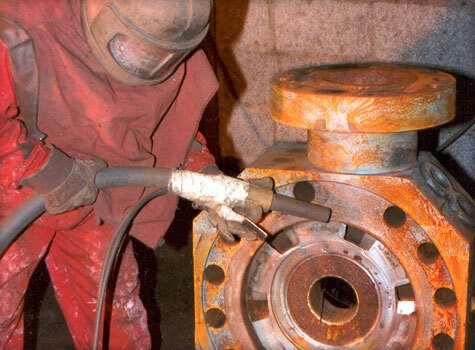 It generates a precisely controlled blend of abrasive and liquid expelled by compressed air in a low-pressure slurry. This can quickly scour coatings and encrustations at high pressure settings, while low pressure settings allow for more delicate work. 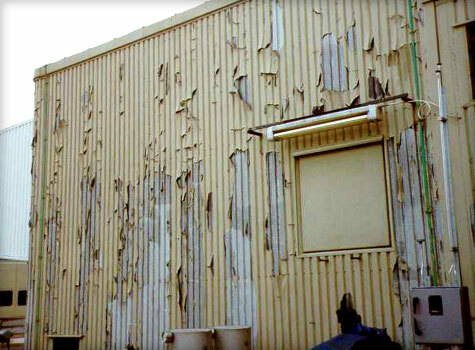 Paint fades and chips, coatings wear off and the accumulation of dirt, soot and chemical residue can cause unwanted corrosion. When this happens, it becomes necessary to clean a surface or prepare it for a fresh coat of paint or a protective lining. It is imperative that a surface be adequately prepared before a new coat or lining is applied – if it isn't, residual dirt or even micro-bacterial organisms can cause the new lining to fail. 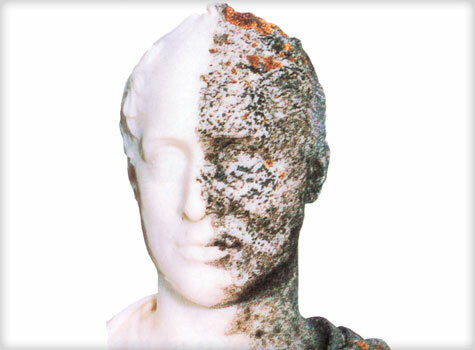 In the case of residential structures, architectural features and statues, there is a significant aesthetic value to having your property cleaned and refurbished. But regular cleaning will also help protect it from corrosion over time – especially in cities where air pollution is present. 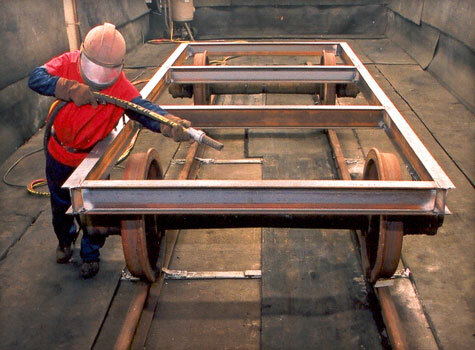 Sui Generis' HydroPrep division specialises in industrial surface preparation and cleaning – from fine artwork to steel rigs. What kinds of surface can you clean or prepare? We can clean or prepare almost any surface, including chemically-resistant surfaces and containers which previously housed chemicals. On the residential side, we have experience cleaning and refurbishing valuable art and Grade I listed buildings – with all the care and precision they deserve. Why use different methods for surface preparation? Because different surfaces require different levels of scouring intensity to prepare. Steam cleaning or pressure washing may be enough to clean a room or remove paint that's already chipping, but it won't do for a concrete container where chemicals have leeched into the structure. This would require something harsher to remove, like ultra high pressure water jetting or our Liquabrade system. 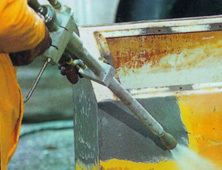 Grit blasting is used to properly prepare metal surfaces, with different types of grit, including steel, glass and ceramic beads, garnet and even nutshells, depending on the surface. Having all these methods at our disposal allows us to choose the right one for your surface, ensuring it is prepared but undamaged. Are there other benefits to surface preparation from HydroPrep? Strict Health & Safety guidelines followed. Does your work conform to regulations? Yes. We adhere to stringent Health & Safety procedures required by the major construction contractors and blue chip companies we serve. 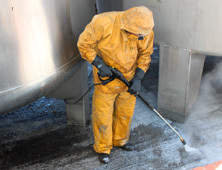 These not only protect our staff, but ensure any runoff from industrial cleaning or surface preparation is channeled, collected and disposed of safely and in accordance with both Health & Safety and pollution prevention guidelines. For more details, just give us a call. 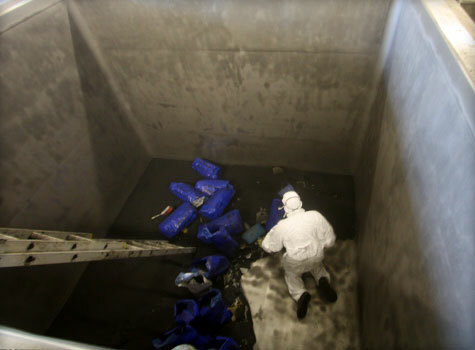 Our free advice guide on spill containment contains lots of helpful information about the latest regulations and how we work. Can you give me advice about my surfaces? With pleasure. With some of the most experienced personnel in the industry, HydroPrep is the best place to come to for advice about your surfaces and how to keep them in top condition. Call us on 01206 798 798 today and we'll arrange a free inspection of your site – and help you keep your infrastructure clean, long-lasting and safe.